I'll admit; I'm not really convinced exactly how misspelling "sci fi" is supposed to actually count as a name change for the network, never mind reach beyond the channel's current demographic to their prized aim of more female viewers. 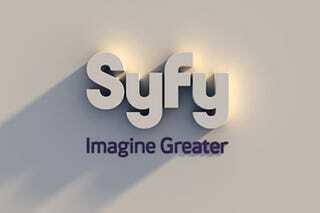 But just in case "SyFy" doesn't stick for whatever reason, we came up with 25 other suggestions that are... well, just as bad, really. Feel free to add your own in the comments. Just remember to claim your fee if it ends up being used.